SoundMAGIC snatched a five star rating with the wired version, but can the wireless E11BT earphones truly compete and, importantly, retain the noteworthy qualities to do it again? For the most part the SoundMAGIC E11BT earphones are faithful to the original design, just without the aux jack. Same robust machined aluminium housing that made them a commendable pair to toss in the pocket without concern. Where the design differs mildly is when in-ear, because there’s more downward drag from the short yet chunky cable which conjoins each earphone in this otherwise wireless design. Otherwise the comfort of the wired version is retained. Runners will rejoice in the rather firm posture they take in the ear and if one pops out, at least it won’t fall to the ground. Furthermore, unlike the wired version of this model series, the wireless version comes with a three button control as standard. It's a bit longer than some controls, so it takes a little practice to get used to the uniquely chunky silicone buttons. We’ve been picking up the SoundMAGIC E11BTs on an almost daily basis. With a few hours of play time every day adding up to around 50hrs so far, we still haven’t managed to exhaust the battery which claims to last for an impressive 60hrs. When paired there’s no distractions from the connection via Bluetooth 5.0 which is more comparable to a wired connection in terms of data transfer amounts. However, we’ve come to expect Bluetooth devices to connect immediately and be ready in a few seconds from power on, but this is something the SoundMAGIC E11BT earphones have a little trouble with - and they can hiccup when rejoining a device already discovered. Whilst we don’t need manually to go in and repair the earphones, it does sometimes cause an unexpected delay of 10-15 seconds of deceptive limbo. We almost feel we should say go and read what we wrote about sound quality in our SoundMAGIC E11 earphone's review, as not much new can be said. Fortunately we’ve picked out a few minor differences to stretch this out a bit. Firstly, layering is still the headliner in the performance category for the E11BT earphones. There’s such a pleasing amount of space around the mid range, which a song like ‘Dear Boy’ by Paul McCartney & Linda McCartney highlights amazingly. The higher ranges present in the vocal layers are still energetic and those mid ranges truly feel independent; plus this song shows off the playful stereo effects throughout, something earphones are often guilty of missing. One difference from the wired E11s is with the bass: it’s still certainly distinct and contained from interrupting the mid and higher ranges, but the boldness has been dialled back just a bit. One light and day contrast noticed is that the sheer voluminous clout of the wired E11 earphones isn’t on the same level when the volume is cranked all the way on the Bluetooth variant. Arguably this doesn’t really detract from the remaining characteristics of the SoundMAGIC E11BT earphones, which is that of a crisp and tight sound profile. As previously alluded to, the qualities remain mostly identical to the former wired pair and they offer great additional value through being wireless. Basically SoundMAGIC have snipped the cable and tweaked the sound engineering a tad, perhaps to gain the exceptional battery life of the E11BT earphones. 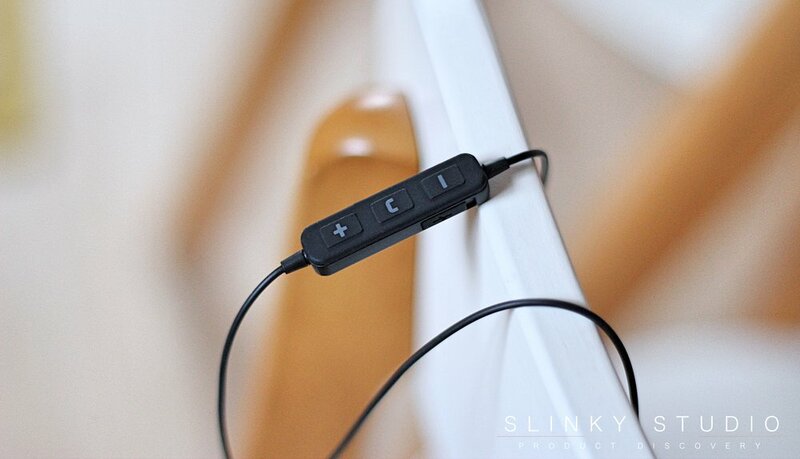 Regardless of this, it’s a wireless design that reflects comfort, durability and a technically enjoyable sound profile. This is a pair of wireless earphones that should not be overlooked.